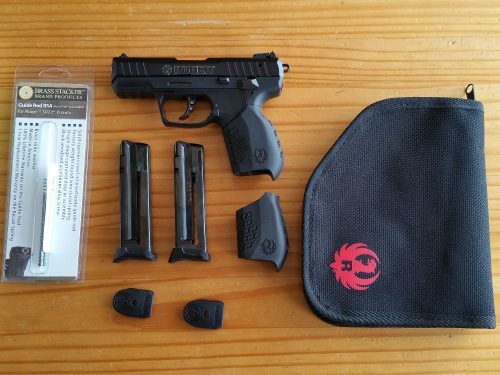 A sweet 22 pistol that has only been to the range twice. I installed a premium Brass Stacker recoil spring which lets this pistol smoothly feed any ammo I’ve put through it, including Federal Bulk ammo. 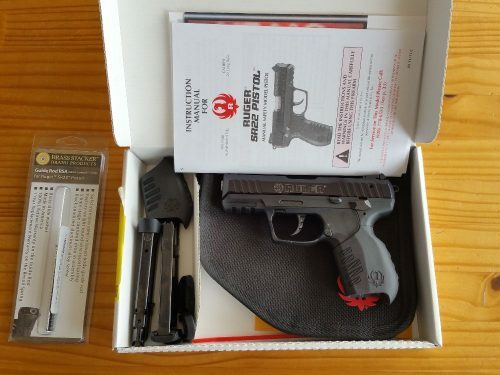 The pistol comes with two magazines, magazine extensions, two grips (large and small), a soft case, the original recoil spring, and the original packaging and instruction booklet.